In tenth pAsuram, parAnkuSa nAyaki says “No matter how great the enemy force is, emperumAn is having great qualities to eliminate them; there is no use of my self which is not liked by such emperumAn”. Subsequently, parAnkuSa nAyaki says “What is the use of my self which is not liked by sarvESvara who eliminates all the enemies without a trace?”. Tenth pAsuram. parAnkuSa nAyaki, highlighting the Seela guNam (simplicity) and virOdhi nirsanam (eliminating the enemies) which were explained in the first pAsuram, says “What is the use of my existence which is not desired by him?” concludes matching the initial description. By “udambinAl kuRaivillA uyir pirindha malaith thuNdam kidandhana pOl thuNi palavA asurar kuzhAm thuNiththu“, “nIRAgumpadiyAga nirumiththup padai thotta” is re-explained. “kURALum thani udamban” is re-explained by “thadam punala sadai mudiyan thani oru kURamarndhuRaiyum udambudaiyAn“. kuRaivilam – there is no use. emperumAn destroyed groups of asuras who were well built due to nurturing their bodies well, by taking their lives out of their bodies and breaking them into pieces and leaving them on the ground like pieces of mountain, and became jubilant. There is no use of my AthmA (self) which is not liked by such emperumAn who is having the divine body which is eternally occupied on one side by rudhra, holding gangA which is a vast water source, who considers himself to be greatly capable due to having matted hair. 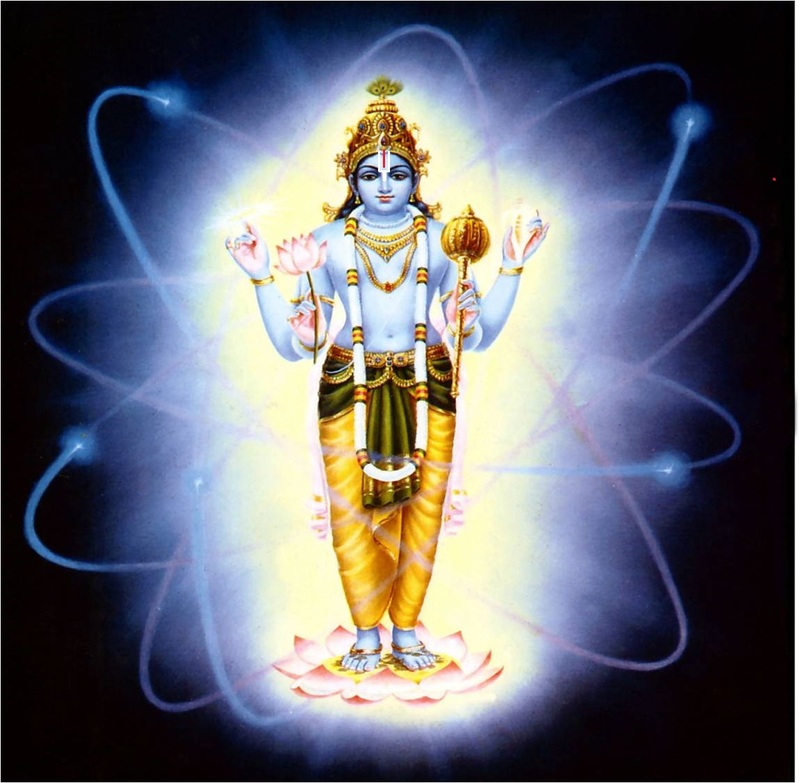 udambinAl kuRaivillA – There is no shortage in both the groups of asuras and the souls [which are bound]; those who ignore the soul/self and nurture the body, will only end up as nithya samsAris (eternally bound souls). uyir … emperumAn became jubilant after destroying groups of asuras by breaking them into pieces and let them lay on the ground like the movable mountains were attacked and broken into pieces by indhra’s vajrAyudha. While he is commonly related to all as said in jithanthE sthOthram “dhEvAnAm dhAnavAnAncha sAmAnyam” (common to dhEvas and asuras), due to they being enemies of his devotees, he finished them and became joyful thinking “enemies of my devotees are gone”. thadam punala – Their dhurmAna (pride) is such that, even emperumAn giving a place in his body for them is praised as a good quality. He is giving space for those egoistic persons in his body which is supposed to be the abode of those who are devoid of any ego. emperumAn who is having a divine form, where rudhra who is having gangA which has overflowing water, in his matted hair, and having pride due to that, claims a particular portion of emperumAn’s divine form as his own just as SrI mahAlakshmi has emperumAn’s divine chest as her abode. kavarAdha … – parAnkuSa nAyaki says “Such emperumAn who makes his divine form available for everyone, does not help me; in this case what is the use of having this AthmA?”. Previously she discarded her body and other bodily belongings, all of which are anyway temporary and will leave on their own at some point – so it would mean that parAnkuSa nAyaki was just discarding the temporary aspects; to make things clear, she now says that she does not even want her eternal self here. Why is she saying “I don’t want this AthmA too”? If the AthmA remains, as time progresses, she will acquire another birth and will acquire the previously discarded belongings again, and will have her bosom well developed and cause suffering [in separation from emperumAn]. The eternal nature of AthmA is due to emperumAn’s eternal desire [for such aspect]; if he himself has no liking for my AthmA, what is the use of this AthmA then? This entry was posted in thiruvAimozhi, thiruvAimozhi 4th centum on April 9, 2017 by Sarathy Thothathri.